We have Class A and Class C RV Rentals! Perfect for a family vacation or weekend getaway! Palm Beach's premier RV rental team with 2 locations in the Greenacres/Lake Worth area and Jupiter, we are family owned and operated offering personalized service and flexible RV vacation options. We maintain our own motorhomes, assuring you they are the cleanest and most reliable in South Florida. Our family fleet of 5 RV motorhomes consist of both Class A and Class C units ranging from 24 feet to 36 feet in length. Whether it's a weekend getaway, week long adventure or month long journey, let us help you plan your next RV trip. There are awesome camping parks throughout Florida and the southeastern United States, and we can help find the best location for you. We also provide RV Rentals for long term monthly rentals and special events. 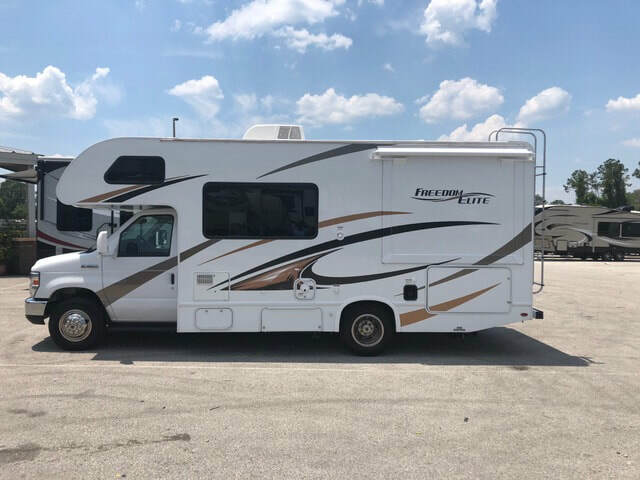 Call us today to schedule a preview appointment or make a reservation at 954-531-4778 or complete our request form, as our RV motorhomes book fast. - Plenty of entertainment both inside and out.